Dekalb Optometric has been happy to serve the community of DeKalb since 1949. Our patients come from all over Northern Illinois, from Rockford all the way to the Metro Chicago area. We are dedicated to serving our patients with only the best optometrist and high-quality equipment. Because of how well we treat our patients many of have been with us for decades and have brought their families with them too. We are very proud to be a part of this community, and we enjoy helping the people of northern Illinois very much. Dr. Donald A. Frantz, O.D. founded DeKalb Optometric in 1949, after returning from WWII. He served in the military by providing eye care for the Army Air Corps pilots. He was joined by Dr. Paul D. Randolph, O.D. joined the practice, in 1954. They became the largest eye care practice in DeKalb County by merging with Dr. Joe B. Ebbesen, O.D. and Dr. Judd R. Storey, O.D. in 1959. In 1967, Dekalb Optometric added the second floor – expanding our practice to better serve our patients. In the same year, Dr. Franz retired and Dr. Robert E. Skabo, O.D. joined our practice. Drs later joined us. Jay R. Ebbesen, O.D. and Stephen J. Storey, OD in 1980 and 1984; second generation optometrists at DeKalb Optometric. We continue our outstanding eye care by inviting the best optometrists to work with us in our practice. Since them we’ve been joined by Dr. Victor F. Verbic, O.D in 2007 and Dr. Victoria Wenzel, O.D., in 2013. We are all looking forward to continuing the same longstanding commitment of service to the community. We look forward to meet new patients and to continue working with existing ones. Contact us today to schedule your eye care appointment today! Dr. Victor F. Verbic, O.D. 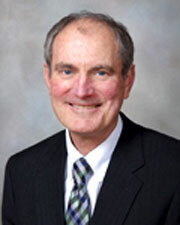 Dr. Victor F. Verbic has been on our staff since September 2007. He became a full partner in our practice in June 2010. Before joining our practice, Dr. Verbic practiced in nearby Naperville, IL for eight years. Dr. Verbic is a native of DeKalb, IL. After graduating from DeKalb High school, he attended Northern Illinois University and graduated with a B.S. in biology and a minor in chemistry. Dr. Verbic completed his doctorate at Southern College of Optometry, a highly-regarded and well-respected eye institute in Memphis, TN. Dr. Verbic sees patients of all ages, from infants to adults and seniors. He has special interests in treating glaucoma and providing nutritional eye therapy. He also specializes in hard-to-fit contact lenses, such as the Ultra Health hybrid contact lens, from Synergies, for patients who have medical conditions of the eye, including keratoconus, pellucid marginal degeneration, and post-surgical ectasia. 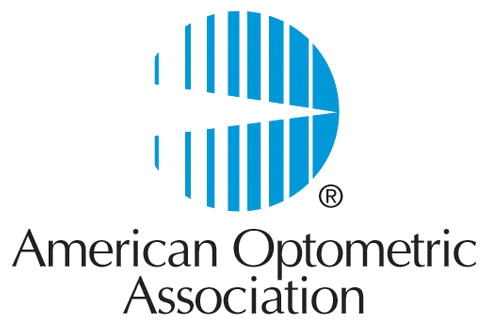 He is a member of the Illinois Optometric Association and American Optometric Association. Dr. Verbic resides with his wife and daughter near downtown Sycamore and enjoys health and fitness, gardening, and sports. 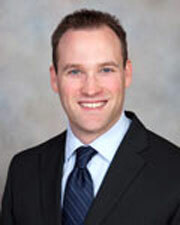 Dr. Jay R. Ebbesen, O.D. Dr. Jay R. Ebbesen has been a partner at DeKalb Optometric since 1980. He graduated from DeKalb High School, completed his pre-medical curriculum at the University of Iowa receiving a B.S. degree, and his doctorate with BSK honors at the Illinois College of Optometry. Dr. Ebbesen sees new and established patients of all ages. He practices general optometry for all ages, with a special interest in contact lenses and ocular disease, with medical management. He has been a member of the Northern Illinois Optometric Society, Illinois and American Optometric Associations for over 30 years. Dr. Ebbesen’s interests include spectator sports of all types, along with participation in running, biking and skiing on a routine basis. He also enjoys traveling with his wife, especially to visit their children. Dr. Victoria R. Wenzel, O.D. 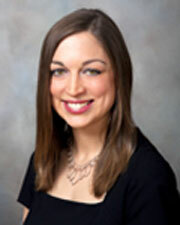 Dr. Victoria Wenzel is the newest addition to DeKalb Optometric, joining the practice in May 2013. She is a licensed optometrist who graduated from the University of Notre Dame and Illinois College of Optometry. She was valedictorian of her optometry school class and also received the Dr. Normal E. Wallis Award for Excellence, for achieving the highest score in the country on her national board exam. Dr. Wenzel provided patients of all ages with comprehensive eye care and completed extra clinical training in pediatrics and contact lenses. Her clinical rotations included the Illinois Eye Institute, Crown Point VA Hospital, and Hines VA Blind Rehabilitation Center. Dr. Wenzel lives in Aurora with her husband and enjoys running, water sports and cooking. She is a member of the Illinois Optometric Association and American Optometric Association, and she has a passion for educating people about the important role prevention plays in maintaining eye health and safety.